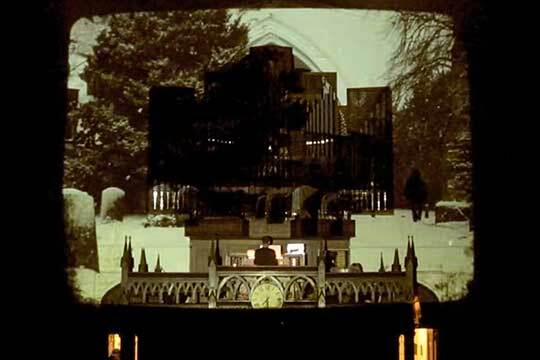 A mix of video sources and real-time generative effects were combined and projected onto a pipe organ to accompany a selection of “spooky” organ music for an informal evening length Halloween concert. Pari Intervallo by Arvo Part was visually interpreted as a snowy graveyard where silhouettes appear, walk through the scene for a few moments, and fade away. 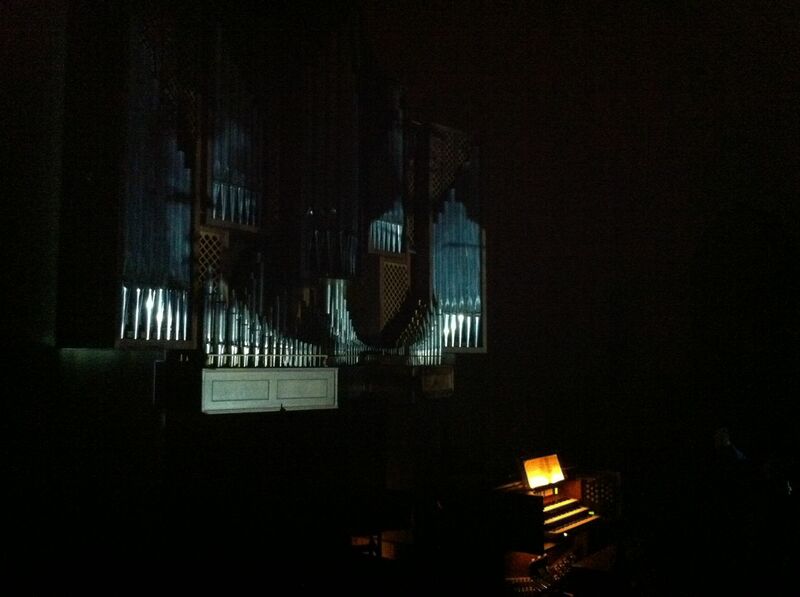 Apparition de l’Eglise Eternal by Olivier Messiaen, which contains massive chords that produce a wall of sound, was visually accompanied by large slabs of stone falling down and collecting in the space occupied by the organ pipes. 2015 – Central Presbyterian Church. 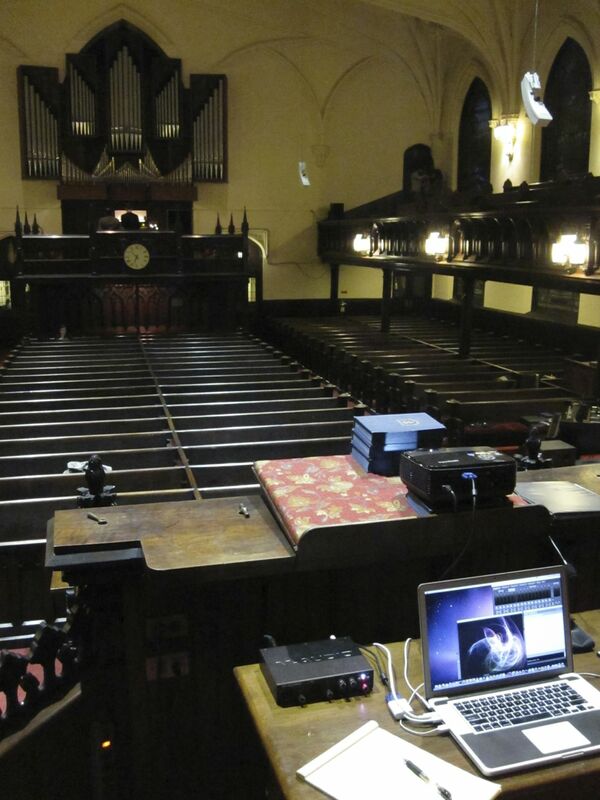 Denver, CO.
2011 – Live visuals with composers/organists Wil Smith and Meg Wilhoite. First Presbyterian Church, Brooklyn, NY.